Elevate Your Expectations. 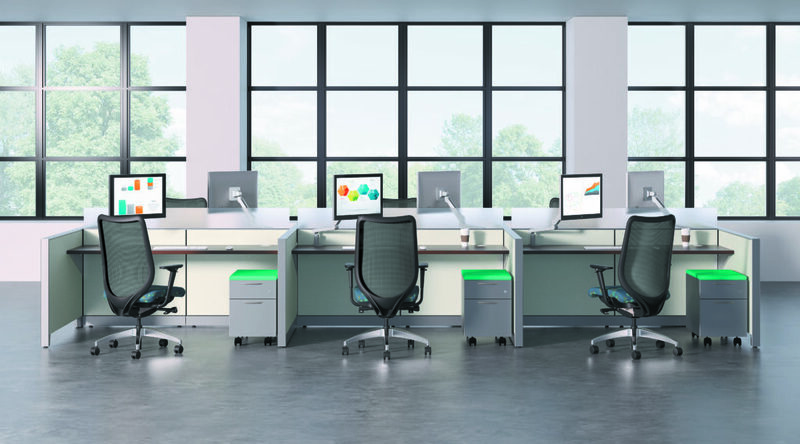 With mixed materials and multiple design options, Abound sets a new standard for the inspired workspace. 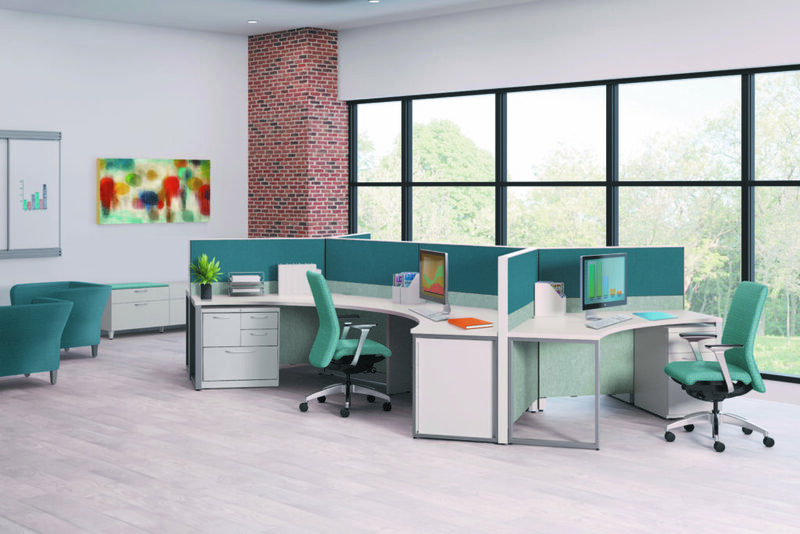 Crisp edges and sharp lines create a tailored aesthetic, and intuitive universal connectors make it easy to install and reconfigure quickly. Office furniture products in the HON Abound collection are ideally suited for reception areas, open environments, team spaces, and private offices. 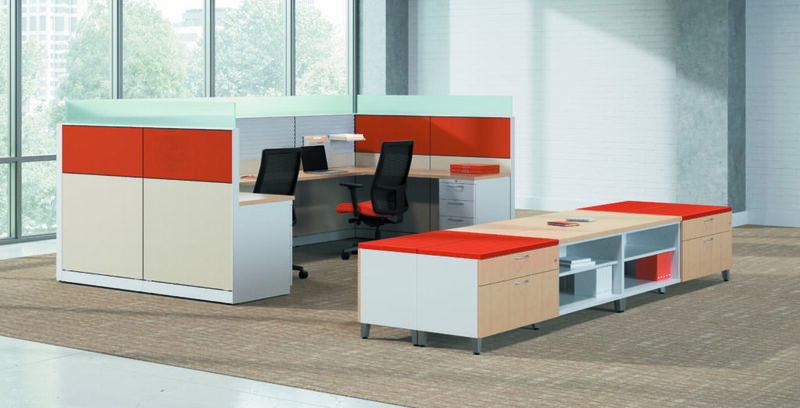 Each component integrates perfectly with other pieces to ensure a unified, efficient work area. 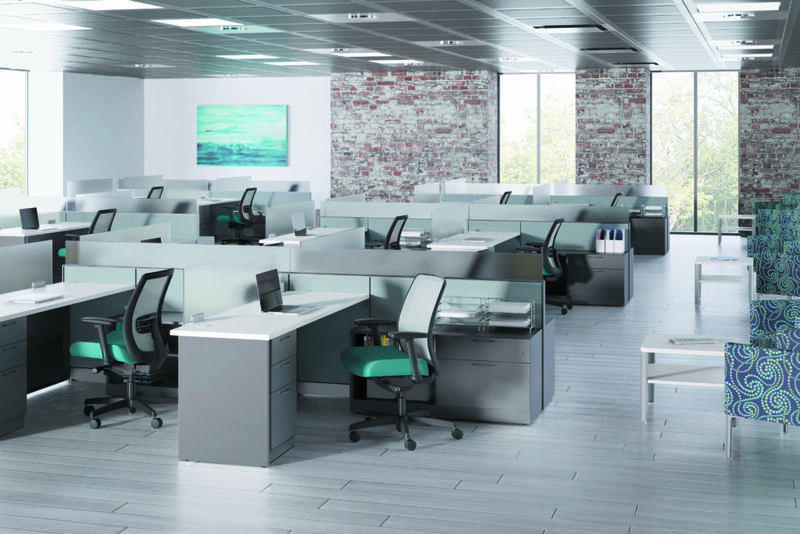 Mix and match fabric, glass, and surface tiles to suit your aesthetic and functional goals, and enjoy Abound’s superior strength and lasting durability through the evolution of your business. In any environment, Abound raises the bar. Multi-Use – Ideally suited for reception areas, open environments, team spaces, and private offices. 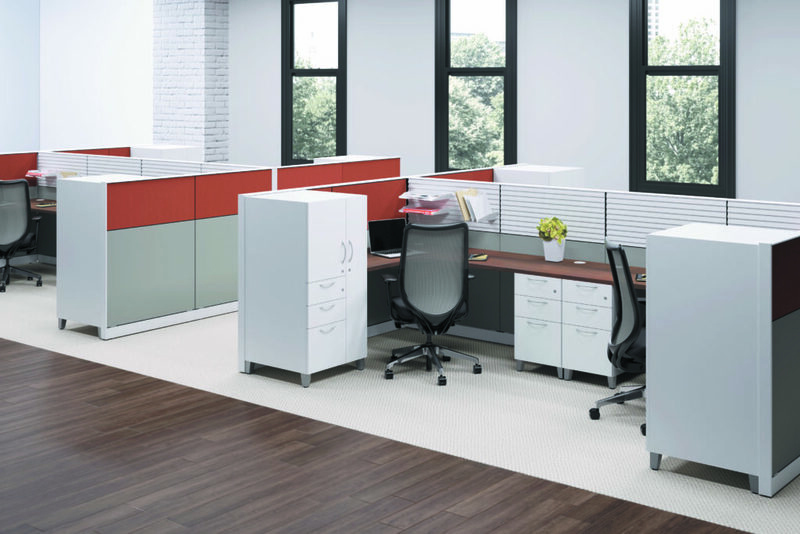 Customizable – An interchangeable frame and tile system lets you mix and match fabric, glass, and hard surface tiles for different aesthetic or functional goals. Accessorize – Data cables can be installed in the top channel of wall panels for easy, orderly access. 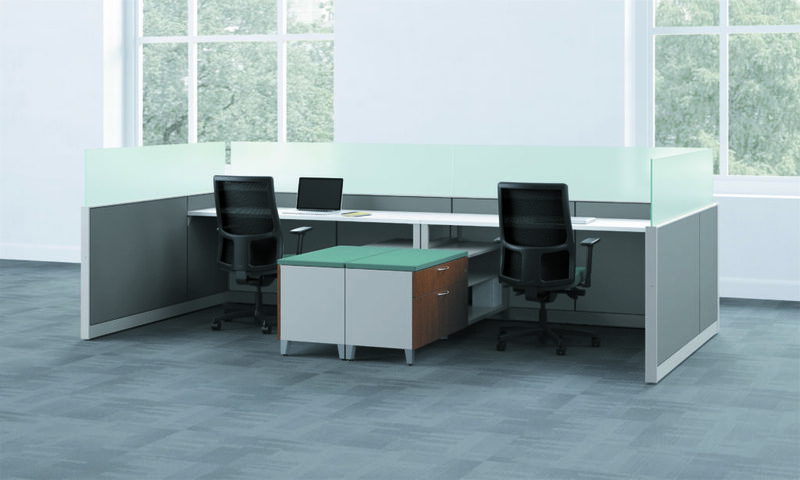 Durable – Metal panel trim, frames, and connections provide superior strength and lasting durability.